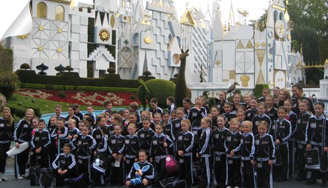 Global Dance Tours can organise every facet of your Cheerleading tour. Participate in Cheerleading competitions, tour US Colleges, meet local College Cheer squads, watch College sporting events and train with Cheer squads from local colleges. Let Global Dance Tours organise everything for your cheer squad! 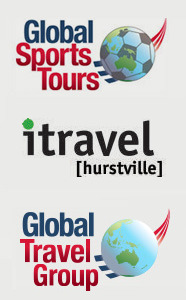 Our business partner, Global Travel Group is fast becoming the industry leaders in Dance Group Travel, with over 100 years combined experience, product knowledge and a passion for customer service. We have gathered a team of professionals who share our vision and who not only have the experience, but the enthusiasm and motivation to be the best in the business. 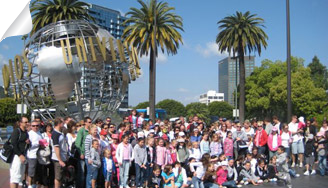 Over the past ten years we have chaperoned nearly 20000 students, teachers and parents on successful trips to America, Europe and Asia. With the help of the team at Global Travel Group, you can showcase the talents of your musical or dance performance group on a global stage, or mix it with the industry’s best at leading dance academies and training schools around the world. From performance applications and venue registration to fundraising, sightseeing, accommodation packages and chaperoning, we will take care of everything! Some of the Dance Schools travelled with us! Our most popular tours are to America, where students are given the opportunity to perform at Disneyland, take part in dance workshops with industry professionals, see shows on Broadway and have classes with cast members. We organise tours to Los Angeles, San Francisco, New York and Honolulu just to name a few, all with fantastic performance and workshop opportunities. CRUISES: There isn’t a more relaxing or exciting way to travel than cruising. We at Global Dance Tours have partnered with some of the world’s best cruise companies to come up with some fantastic options for your dance school. 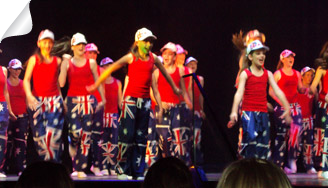 Not only do they represent fantastic value, but students get to perform on board as entertainment throughout the cruise. We don´t just do tours for dance schools. 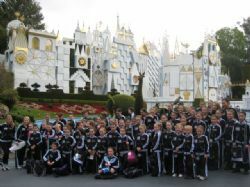 Rockhampton Girls High went on a tour in 2012 to the USA. 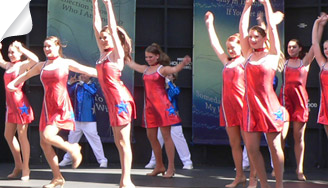 The girls participated in a tour combining dancing and acting. 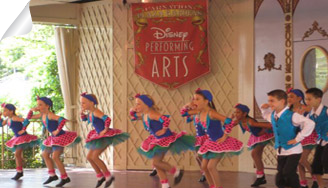 Dancing at Disney and Universal, as well as watching shows in Vegas and New York with acting and dancing master classes.